Hi T.O. & fro friends, Mar's other half here. Happy that Mar is letting me make my T.O. & fro post debut to share my thoughts on being a daddy-to-be. Having a baby is a special and emotional time for both parents-to-be. It still feels like yesterday when Mar told me the fantastic news! While the woman carries most of the load for the 9ish months, many dads-to-be like to actively participate in helping their partner through pregnancy from beginning to end. Myself included. But at the same time, many may feel alienated, as they don’t know what to expect or what role they can play. The biggest thing I’ve learned in the past 20ish weeks is that I am my wife’s biggest support. 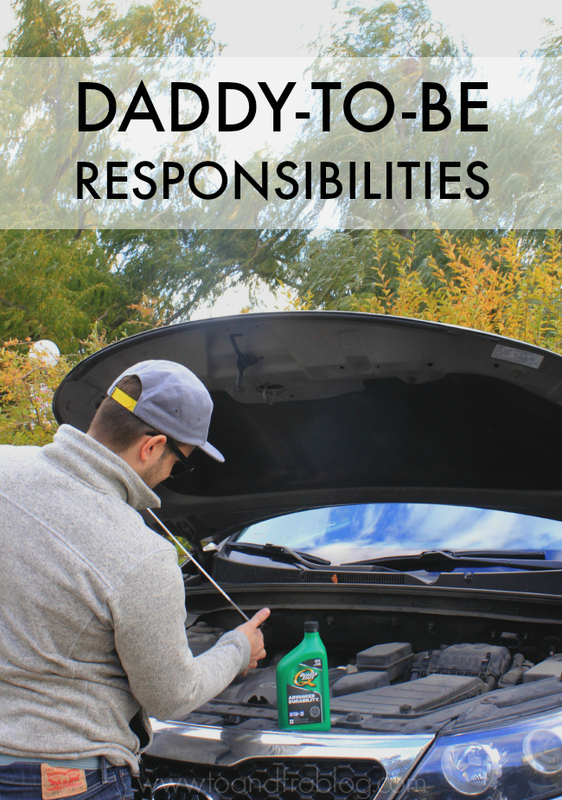 Although she's carrying Baby Wardo (like a champ, I might add), I share equal duties in preparing for baby and for parenthood. I know it's going to be tough, with many messy diaper changes, late night supply runs and meltdowns from all parties involved, but I am excited and ready to take on the new role. Be informed. Of course you know the science behind how baby was created, but understanding the changes that are going on in your partner's body and what will happen when the baby arrives and beyond still may take time to understand. Try to read up on pregnancy and birth. This will enable you to have an idea of the basics of pregnancy and what to expect throughout the 9 months and in the delivery room. Attend appointments. Accompanying your partner to any appointments allows you to see how your baby is growing, hear the heartbeat and get a first glimpse of who he/she takes after. Not to mention, the doctor is there to answer any of your questions and put your concerns at ease. Communication. Just because the woman is the one carrying the baby doesn't mean that pregnancy has no impact on you. Communicating with your partner is vital in identifying any anxieties that you both may have. And while you may not know what to do in every situation, especially those "hormonal meltdowns", its always helpful to just be present and listen. Sharing your excitement, worries, etc. (even if they are illogical), will help things go a lot more smoothly for the both of you. Schedule quality time. Book a getaway to enjoy some quality time together before the baby arrives and things get crazy. Take a larger share of the chores. Your partner’s body is going through a tough transformation and she requires rest and understanding. Taking a lead in regular tasks such as laundry, grocery shopping and even car maintenance can really make a difference. Having a safe and reliable vehicle for when baby arrives is a huge priority for us. 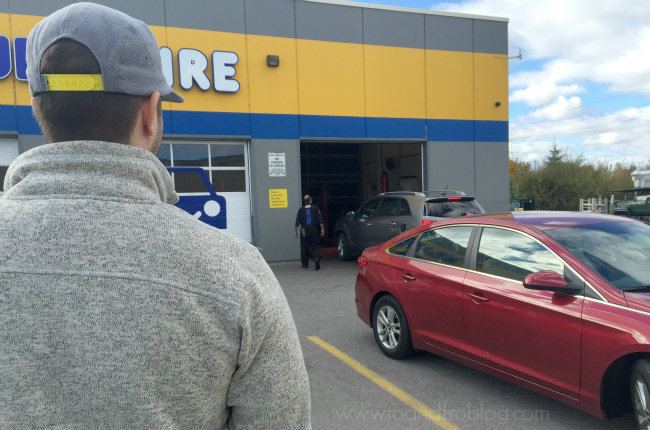 This includes making sure the oil is routinely changed, fluids are topped up and tire pressure will keep the car safely moving. 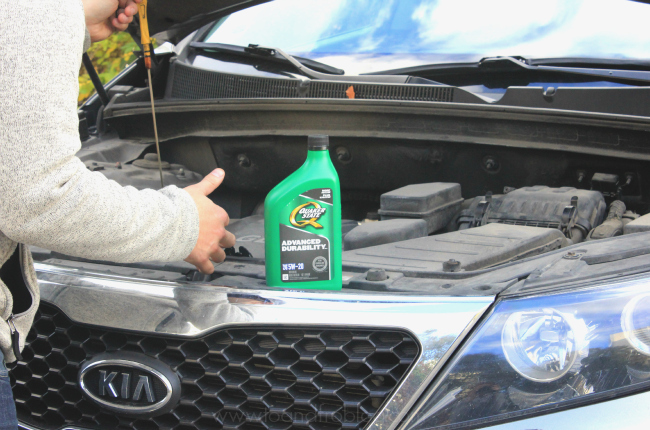 Your local Walmart Auto Centre makes getting an oil change with Quaker State® products easy. It’s expert auto services while you shop (maybe even for baby items)! 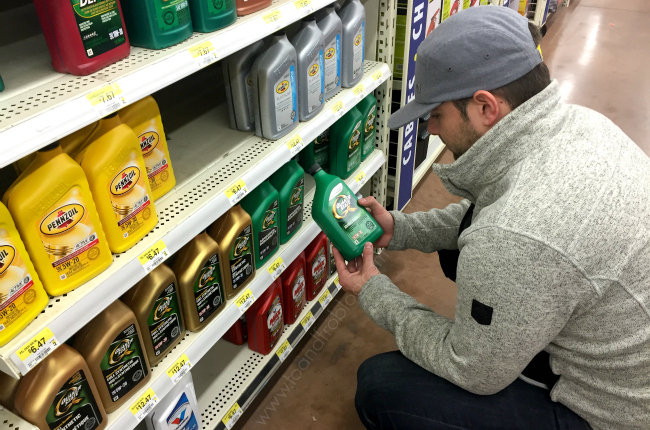 If you’re an oil change DIYer, Quaker State® motor oil can be found in the automotive section at your local Walmart. Quaker State® Advanced Durability™ motor oil meets or exceeds the latest oil standards for protection under high temperature and severe service conditions, and minimizes friction-related wear 2x better than the wear standard set by top American and Japanese automotive manufacturers. Are you a new father? How did you prepare? Have you ever used Quaker State® automotive products? I’d love to hear about it!